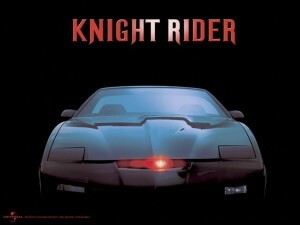 When I was still in grade school, I couldn’t forget the TV series “Knight Rider”. It’s the show everyone watches including my mom, grandma and relatives. I really don’t know the real story of the show but one thing I couldn’t forget was the actor’s very unique car named KITT. I was amazed then to see a car that looks so cool, filled with all accessories including auto spoilers and added to that it talks. It was an artificially intelligent, extremely durable car that amazes the kids little minds. Because of that show, my brother love to play to cars. He even wished to have a car that is controlled by a computer. But that’s only his dreams. In my case it was because of that show that I learn how to draw a car with an auto spoiler. I didn’t what it was for, but I just copied the car from the Knight Rider show. Actually, I am not into cars because my brother won’t let me play with it. But when it comes to watching the show, we were united. There’s a movie Knight Rider released in 2010 where they used a Ford Mustang car. The story was based on the real plot of the TV series but I haven’t heard of it that it was shown here in our movie theaters. Maybe it wasn’t too good compared to the TV series.